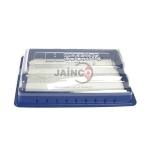 Jainco provide Dissecting Sets that are specially designed to conduct dissection procedures in educational institutions, laboratories and analysis institutes, our dissecting sets are in great demand across the globe. dissection box consist of scissor, forcep, spatula. All the materials used for engineering these biology lab equipments. 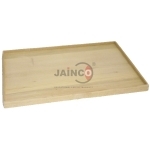 Jainco is the leading in Dissection Equipments, Dissection Equipments Suppliers, Dissection Equipments Manufacturer, Dissection Equipments in India, Dissection Equipments Exporters, Dissection Equipments Manufacturer in India, Dissection Equipments Exporters in India. 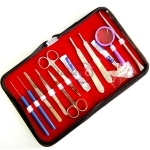 Set of 14 stainless steel dissecting instruments in a canvas case. 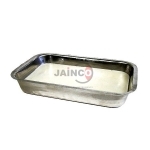 Aluminium tray supplied with wax. 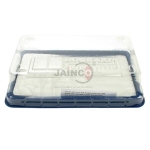 Size: 300 x 200 x 45mm. Available in 3 sizes. Pans won't rust. 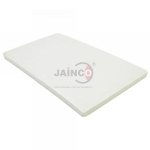 The pads are reusable and no need to melt sticky wax. Available in 3 sizes. Pans won't rust. 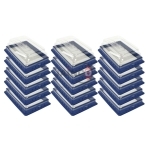 The pads are reusable and no need to melt sticky wax. The covers close up for the day. 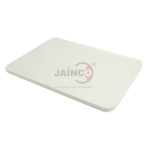 Reusable dissecting pads. 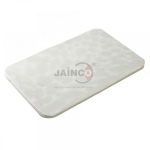 Made from 'high grip' materials which eliminates need for use of wax. Reusable dissecting pads. 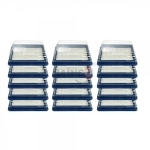 Made from 'high grip' materials which eliminate need for use of wax. 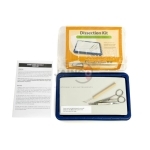 A beginner's dissection kit for the student learning the basics of dissection. Nylon Forceps, glass filled, straight, blunt tip. 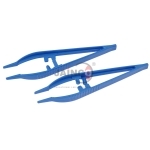 The Forceps, Stainless Steel, 125mm (Pack of 10) are stainless steel with blunt tips. 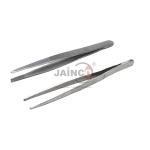 Forceps, Stainless Steel straight with fine point. Length: 115mm.